While Californians were immersed in the Presidential primary Tuesday, the staff of the Pacific Fleet gathered in Honolulu to commemorate the 74th anniversary of the Battle of Midway. The Midway battle, fought June 4-7, 1942, is widely considered the turning points of World War II in the Pacific. Three U.S. aircraft carriers attacked a larger Japanese fleet off Midway Atoll, sinking four enemy carriers and crippling the Japanese Navy. 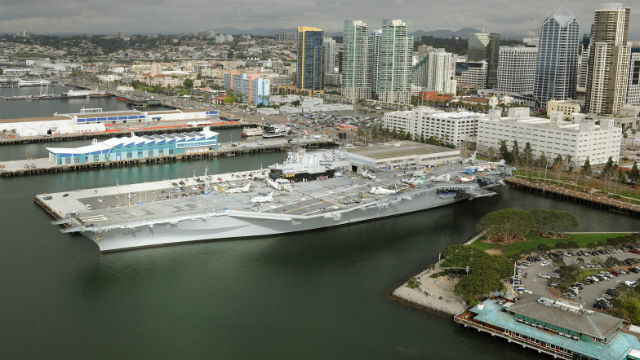 The battle is remembered in San Diego in the form of the USS Midway, now a museum, and thoroughfares like Nimitz Boulevard in Pt. Loma and Spruance Road near the airport. In May 1942, intelligence experts intercepted nearly 1,000 Japanese radio messages per day and deciphered and translated about 25 percent of them. They provided Fleet Adm. Chester Nimitz with information that the Imperial Japanese Navy intended to attack the Midway Atoll. Acting on this intelligence, American commanders Frank Jack Fletcher and Raymond A. Spruance were able to set a trap and change the course of the war.